Samantha Lee's site is about illustration but is also about food. She doesn't use color crayons or ink to illustrate. 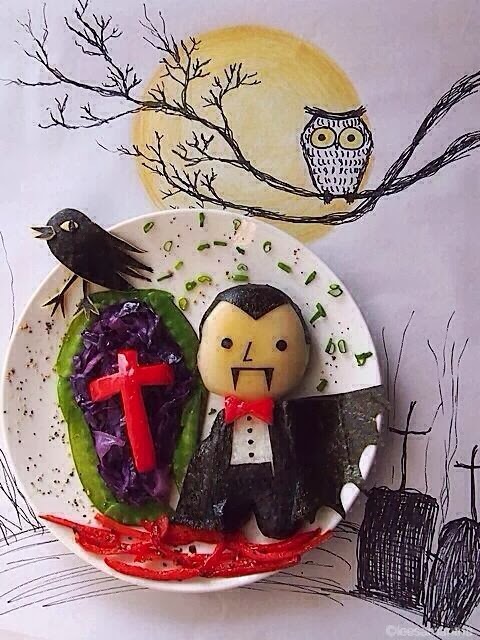 Instead Samantha plays with food to create whimsical illustrations. She uses scissors, knives and toothpicks to craft delicious illustrations inspired by characters of all sorts. Then she takes photos of it! This Malaysian mother with two daughters has more than 260,000 followers on Instagram. She started doing this food art in 2008 to encourage her elder daughter to eat! She also has a blog and a Facebook page. Not boring at all!